We all know that motherhood is extremely challenging and exhausting, especially for those experiencing their first pregnancy. Luckily, your new baby probably won’t have any teeth for you to worry about yet. But don’t forget about your own teeth! Foregoing regular dental visits can lead to extensive dental problems which will take time, energy and money (all commodities you’ll need once baby arrives). Follow these tips to help stay on top of your dental health during pregnancy and in the months after your baby’s birth. Although you’re busy, it is crucial to keep up your good dental habits. Studies have shown that pregnancy makes the gums more susceptible to gingivitis and can exacerbate existing gum conditions. Pregnancy also increases the amount of saliva your mouth produces, as well as causing the saliva pH to become more acidic. This can cause excessive bacteria in the mouth, potentially leading to tooth decay and erosion if you don’t maintain healthy hygiene habits. It’s especially important to floss because the ups and downs of hormones change the way the gums react to plaque, making them especially susceptible to problems. Morning sickness is not only unpleasant, it can damage your teeth. However, it’s important not to brush right after vomiting; it can exacerbate erosion by brushing the lingering acid right into your teeth. 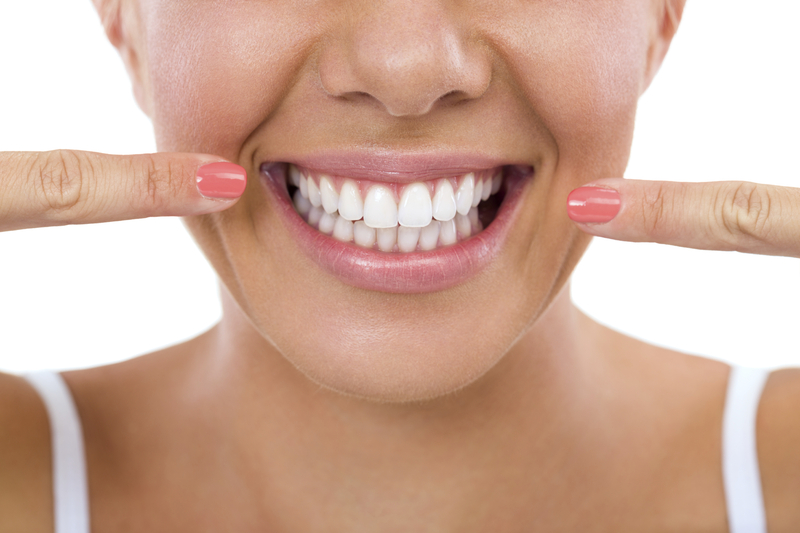 Before you brush, rinse your mouth with a mixture of baking soda and water to neutralize the situation. Dentists recommend eating a balanced diet rich in calcium, protein, and vitamins C and D during pregnancy for optimum dental health. Calcium can especially help your teeth stay healthy. A healthy diet rich in leafy vegetables, fruit and healthy proteins such as eggs, beans and chicken should do the trick. While it’s safe to visit the dentist while pregnant, you should discuss your pregnancy with the dental office when making your appointment so they can better accommodate your needs. Once you learn you’re pregnant, make an appointment late in your first trimester or early in your second trimester, if you don’t already have one on the books. Baby is less influenced by the external environment by this time. Be sure to schedule time for a dentist’s appointment. There are many major hormonal changes during the last few months of pregnancy so it’s important to make sure your teeth and gums are staying healthy. If you’re having trouble finding time, ask a loved one to watch baby during your appointment. (Your dentist’s office should be able to provide an estimated visit length.) Explaining your circumstances to people can go a long way in helping them help you take care of yourself. If you need extra incentive to go to the dentist, consider making your appointment at the beginning of a relaxing period of self-care. Taking a few extra hours for a walk in the park or a trip to the hair salon can recenter and reenergize you. Dr. Jonathan Everett received his doctor of dental surgery from the University of Washington and completed his undergraduate studies in biochemistry at Washington State University. He currently runs a dental practice in Kirkland with his partner.